Interview with Steph Lowe, Sports Nutritionist, triathlete, founder of The Natural Nutritionist, chatting about nutrition strategies for keto athletes, pre and post workout keto nutrition, training with the menstrual cycle, fasting and workouts, and so much more. 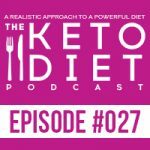 Leanne Vogel: You’re listening to episode number 27 of The Keto Diet Podcast. Today we’re chatting about different nutrition practices for keto athletes, gaining metabolic efficiency, pre- and post-training strategies for various athletes, and how to maintain your muscle mass. Stay tuned. Hey, I’m Leanne from healthfulpursuit.com and this is The Keto Diet Podcast where we’re busting through the restrictive mentality of a traditional ketogenic diet to uncover the life you crave. What’s keto? Keto is a low carb, high fat diet where we’re switching from a sugar burning state to becoming fat burning machines. If you’re in need of keto recipe food prep inspiration, I’ve prepped a free seven-day keto meal plan exclusive for podcast listeners. The plan is complete with a shopping list and everything you need to chow down on keto for seven whole days. Download your free copy at healthfulpursuit.com/ketomeal. Let’s get this party started. Hey, guys. Happy Sunday. I hope you are having a wonderful weekend. My book comes out in just a couple of days and I am jiving over here. I just can’t wait. The show notes and full transcript for today’s episode can be found at healthfulpursuit.com/podcast/e27. The transcript is added to the post about three to five days following the initial air date of this episode. Let’s hear from one of our awesome partners. Having options is good but when it comes to digestive enzymes and probiotics, it can get really, really confusing. CFU counts, strains, bromelain, plant-based, with gallbladder support, without. Seriously, how the heck are we supposed to know which product is best for our bodies? That’s why I love the new Probiotic and Gut Health Product Finder from NOW. I select my age, category, my health goals, and it recommends the probiotics that are right for me. Their tool tells me that Women’s Probiotic 20 Billion, a probiotic specifically formulated using three clinically tested probiotic strains to support women’s health through every stage of life, and Oral Biotic Lozenges, a powerful strain that when taken regularly colonizes the mouth and throat and helps to maintain the natural defense system of the main entry point of the body, is best for me. Personalized and reliable. Head on over to nowfoods.com to use the finder. If you locate something you want to try out, click on shop NOW-2-U.com and use the coupon code KETO, that’s all in caps, no spaces, for 25% off your order. This offer is valid from April 1 to the 30 of 2017 and valid for US orders only. Again, that’s nowfoods.com and click on the shop NOW-2-U.com, little button there, and you can use the coupon code KETO, all in caps, no spaces, for 25% off your order. If you have an idea for a podcast episode or you want to submit praise over and above the review, which you can leave by going to healthfulpursuit.com/review, you can reach me by emailing info@ketodietpodcast.com. We’ve got two announcements this week. The first one is that I’m creating a bunch of new content for the podcast and I need your help. I would love if you could tell me what type of content you would like me to create. If you tell me what you’re struggling with, I can help. Please just take two minutes to fill out a quick survey at healthfulpursuit.com/survey and tell me what you’re struggling with. When you submit your survey, you’re entered to win a $100 Amazon gift card. Again, that’s healthfulpursuit.com/survey and the link will also be in the show notes and this will end April 9. If you just go there, healthfulpursuit.com/survey, answer a couple of questions. It just helps me understand what you’re struggling with, what you need help with. Lay it all out on the table and I will work to provide resources on the podcast and probably other channels of Healthful Pursuit so that we can get you the help that you need to overcome anything that you’ve got going on. Second announcement is that I’m hosting a huge giveaway in celebration of my upcoming paperback, The Keto Diet. If you head on over to healthfulpursuit.com/ketodietbookgiveaway, I’ll also include a link to this in the show notes. It’s a really long URL so I understand if you can’t just type it out. Totally cool. It will be in the show notes where you can enter to win. We have some really awesome items that we’re giving away including a whole selection of Bob’s Red Mill products that are keto. We’ve got some NUCO coconut wraps, we’ve got some Pacific Foods, broths, and a ton of different erythritols from Swerve. paleovalley threw some stuff in there…Artisana, ButcherBox. Again, that’s healthfulpursuit.com/ketodietbookgiveaway. You can enter to win. Today’s guest, her name is Steph Lowe. She’s a sports nutritionist, triathlete, and founder of The Natural Nutritionist, a hub for celebrating the importance of real food, and the author of The Real Food Athlete. With a passion for spreading the positive message about real food and the incredible effect it has on performance, Steph launched The Natural Nutritionist in 2011 and is on a mission to inspire others to make health a priority in their lives. Steph’s extensive nutritional experience spans from elite athletes to schools and corporations where she has worked with the likes of Grill’d to develop new menu items, Savills where she educated Corporate about real food for productivity and performance in the workplace. Along with self-publishing her first book, The Real Food Athlete, and running The Natural Nutritionist, Steph is also the resident nutritionist in Sam Wood’s online program, 28 by Sam Wood, and is the creator of five eBooks available on her website. I was on Steph’s show a couple of months ago now I suppose. I don’t know. Time flies when you’re having fun. 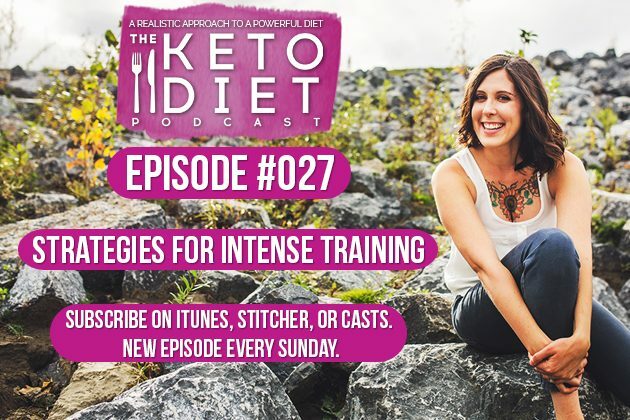 As we were chatting, she lended so much brilliance to the conversation that, right after we stopped recording, I was like, “You need to come on The Keto Diet Podcast.” Here we are having a great conversation about balancing training with being a keto athlete and the differences in nutrition programs depending on if you are an endurance athlete or if you’re crushing at the gym or crossfit and lifting really heavy and you’re more of a strength athlete. She is very knowledgeable in this space and she has a very kind way of sharing her information so I really enjoyed this week’s episode. Without further ado, let’s cut over to the interview. Hey, Steph, how’s it going? Steph Lowe: Really well, thank you. How are you? Leanne Vogel: I’m doing really good. I’m so thrilled to have you on the show today. I was actually on your podcast a little bit ago and you know all of the things about we’re going to be talking about today so I’m so excited to have you here. Steph Lowe: It’s awesome to be on your show. I will just say your episode on the Real Food was my most popular episode of the year so far so that’s a good little takeaway for you. Leanne Vogel: That’s awesome. I’ll link up to that show in the show notes for today’s episode if people missed it. Listen, because I really enjoyed chatting with you on your show. Steph Lowe: Yeah, it’s amazing. Steph Lowe: Yeah, absolutely. I’m a sports nutritionist and my company is The Natural Nutritionist. I’m based in Melbourne, Victoria but we work with athletes and individuals that are looking to move to a real food lifestyle all over the world. We have an online hub at thenaturalnutritionist.com.au and we are really about celebrating the importance of real food. You know, for our athletes, we take quite a unique LCHF approach because our goal is for our athletes to become fat adapted and to move away from the dogmatic guidelines that we have seen in the sports nutrition space which, as I’m sure you know and that we’ll cover today, are very much driven by the carbohydrate and sugar industry and they leave our athletes burning sugar, very inflamed, injuries, a whole host of problems because they’re unfortunately taught the wrong way to fuel for performance, recovery, and athletic longevity. Yeah, that’s our main focus. We do work with all individuals. We have a lot of fat loss clients, whether it’s more of a gut health focus, but certainly, my big passion is real-food-based sports nutrition and high performance fat loss. Leanne Vogel: And you’re so good at it and very knowledgeable. Leanne Vogel: We actually paneled the Healthful Pursuit community and our private Facebook group and said, “Steph Lowe is going to be on the show. What do you have to ask her?” We got so many questions. It looks like people are wondering about keto athletic stuff and what I saw kind of a pattern was in is nutrition, food timing, fat loss, and performance. We can kind of go through each one. If you can lend your brilliance, that would be amazing. You definitely have a similar approach to me, but you’re much more knowledgeable when it comes to athleticism so I’m really excited to delve in and see what we can come up with. Steph Lowe: Amazing. Let’s do it. Leanne Vogel: Let’s start off with protein because, on a ketogenic diet or a low carb, high fat diet, we can get pretty obsessed about having too much protein, not enough protein. If someone is training, let’s say a couple hours a day, or they’re preparing for a pretty intense event, where should their protein be and are you ever concerned about insulin spikes with protein intake? Steph Lowe: Really good question. I think this is important to touch on specifically because in the recovery space, you know, protein has always been the poster child throughout the last five decades with essentially solely being focused on protein for recovery which I think is a big myth and can lead to a lot of problems. You know, I’m not saying that protein isn’t important, but our guidelines generally start at about 20% of your daily intake. If it’s a female athlete who’s eating maybe 1700 calories a day, that’s 85 grams of protein per day. That’s actually far less than the majority of people eat but in most situations, more than adequate to tick the recovery box. Obviously, protein has a degree of satiety from a macronutrient point of view, which is important. Yeah, absolutely we need to be concerned about gluconeogenesis, which is where protein in excess gets converted to carbohydrates and it has the same detrimental effect on our blood sugar. A big part of the education from a recovery perspective is to move away from relying on protein on its own and always manage that intake relative to the individual. I said 20% but that is something that we would then work individually with a client if we needed to tweak that by the size. In general, though, it’s more than enough for most people without any negative effects. Leanne Vogel: Cool. When would you increase protein intake? Are there any cases where, say, that 20% isn’t enough for someone and you’d want to bump up to 25%? Steph Lowe: Yeah, usually it’s in the space of more of a strength-based athlete. Endurance athletes, particularly those that work with me, should be burning fat for most of their sessions and a small amount of carbohydrates in that more high intensity or glycolytic space, which we’ll cover shortly, I assume. But a strength athlete’s obviously going to be more glycolytic but really needing more protein for muscle recovery. It’s other strategies that we’d start with first in terms of supporting their recovery, but that individual with a really good efficient metabolism, so no metabolic dysfunction, potentially could tolerate 25%, but that’s a bit of trial and error. When they get their other macros right, so their carbohydrates and their fats and they’re eating enough, essentially we don’t need to manipulate that protein too much at all which is quite interesting in the body building or gym world, which has been so protein focused for so long. Leanne Vogel: Yeah, definitely. I know that I carried way too much protein in the past. Now, you mentioned just a little bit of the glycolytic training and things like that. Where does nutrition differ when it comes to different types of athletes? I would assume that someone who runs is probably different than somebody who lifts a bunch. Steph Lowe: Yeah, absolutely. It always comes back to the energy system. This is what I think it’s really important to be educated in. We spend a lot of our time teaching our clients about this and I would love your listeners to have the same takeaway. You need to think about the energy system that’s being used in that particular session. Let’s use a runner as an example to start with. In a well-devised running program, an endurance runner especially should be doing the majority of their sessions in the aerobic zone or using their aerobic energy system. This is the perfect way to be able to utilize fat for fuel and really decrease the reliance on carbohydrates and sugars. This athlete should actually eat less carbohydrates, irrelevant of the duration. Athletes that endure half marathons and beyond are very guilty of falling into the trap that they can eat carbohydrates like they’re going out of fashion, but we obviously understand the negative impacts from an overall health and wellness point of view, but they don’t need that many carbohydrates if they haven’t been glycolytic or burning through those carbohydrates. It will then different in their one or two sessions a week where they are doing sprints or intervals, any kind of activity where there are peaks in their heart rate. That’s anaerobic in nature so it’s utilizing the anaerobic energy system of which muscle glycogen, which is our carbohydrate stored in the muscle, plays an important role as a fuel source. They would need slightly more carbohydrates to recover from those sessions. This is how we periodize someone’s intake relative to their intensity. Does that make sense? Leanne Vogel: Totally, it does. Yeah, you explain things so effortlessly. Thank you. Steph Lowe: You’re welcome. A strength athlete would certainly be more glycolytic so they actually have a slightly higher carbohydrate requirement than an endurance athlete and that can be really hard to wrap your head around because in general, strength athletes aren’t training for very long. It’s never duration specific. I always say that your carbohydrate intake is relative to your intensity, and that is because of the energy system that you’re utilizing, and therefore the fuel source that you’re relying on in the greatest amount. Leanne Vogel: In those strength athletes, is there a place, do you feel, for cyclical ketosis? Steph Lowe: I absolutely do. I think that the strength space can, again, be guilty of loading up on carbohydrates with that justification that their exercise or their competition is glycolytic, but you do not want to fall into the trap of becoming metabolically inefficient. What that means is that you can only use carbs and sugars. It’s one fuel source so it’s inefficient, whereas when you are metabolically efficient, you can use sugars and carbs for glycolytic high intensity but your fat for warmups or easy sets, mobility stuff, like all of the elements that are involved in that sort of training, and then preserve your glycogen for the big lift at the end of the session or the backend of a competition. Like CrossFit athletes would do themselves a massive favor by being metabolically efficient so they can burn fat for some of that weekend, for example, that CrossFit comp, preserve their muscle glycogen for the backend when everyone else is falling apart because they’ve been burning through carbohydrates all day or all weekend. Leanne Vogel: That totally makes sense. Steph Lowe: The cyclical ketosis is what will create that metabolic efficiency. Definitely, that’s super beneficial. Leanne Vogel: I’m imagining because of these different states, you have the runner versus maybe the CrossFit athlete, I’m assuming that their pre- and post-workout strategies are going to be a little bit different. Would that be fair? Steph Lowe: Yeah, absolutely. With the runner, I mean, as I said, the majority of their sessions should be at a relevant heart rate to prioritize the aerobic energy system, so they should be doing those sessions fasted, or we call it “empty training” which means outside of having a fat bomb or a Bulletproof coffee, you don’t want have to have anything else in your system so that will continue to train you to utilize fat. Whereas if the runner’s doing a higher intensity session, some athletes can benefit from a small amount of carbohydrates, but we always pair that with good fats to moderate that blood sugar control. A really simple example is half a banana with some nut butter, so nothing too crazy. It might be 15 grams of carbohydrates with 20 or 30 grams of fat, whether it’s placebo or not, it can sometimes help that more intense session and that same advice would apply to a strict session if the athlete felt like they needed something to support that top end or that higher intensity. Then, post-training, the amount of carbohydrates is again relative to what the session has utilized from the fuel point of view. If you’ve been burning fat, then you need to be replacing with mostly non-starchy veggies, moderate protein, and healthy fats. The higher the session in terms of intensity, the more you’ll need to add a portion of complex or starchy carbohydrates to that meal. We still have our last to the plate rule. What I mean by that is that we never want the carbohydrates to make the majority of the meal because then we not only tend to overdo that macronutrient, but we displace everything else that we need in a meal, particularly at that point in time. The order in which you build your plate should be non-starchy veggies, protein, good fats, and then carbs to the plate last. Leanne Vogel: Is that more so like before maybe training or after training or where would you say those carbs are best? If you’re following a ketogenic diet and you’re lifting, say you’re doing CrossFit maybe five times a week, where should those carbs be put or placed? Before, after, during? Steph Lowe: Those two examples I gave were both before and after. Before is usually where you’d have more of a snack, if required, because you don’t want too much food detracting away from the task of exercising per se. Whereas the meal that you eat post-training is going to be really important for your recovery. That’s usually going to be bigger in size and you want to put the carbohydrates post-training for muscle glycogen replenishment. Leanne Vogel: Okay. With the carb ups, do carb ups or cyclical ketosis have a place for more of the endurance athlete? Because it sounds like if you’re running three hours and you’re fueling with fat, you’d want your body to be really efficient with burning that fat because it’s a low-grade burning that can go on for hours and hours. I would imagine that putting carbs into the mix can be challenging for endurance athletes or no? Steph Lowe: You’re referring to during? Leanne Vogel: Yeah, during or even just overall, would an endurance athlete still practice cyclical ketosis, or would it be more beneficial for them to do a strict ketogenic eating style knowing that the more fat adapted they are, the better, and carbs really wouldn’t play as big a role in their day to day. Steph Lowe: They do and that’s the thing that I think people get confused with. Your body will never select 100% fat when you’re moving. It’s always going to be a seesaw between how much carbohydrate you burn and how much fat you burn. That’s trainable. That’s changeable by day-to-day strategies, managing your stress, having a well-developed program. Even if you are fat adapted, you’re still burning a small amount of carbohydrates, so there is still a replenishment requirement. You use the term “carb up”. I use the term “nutrient timing”. It’s essentially the prioritization of those complex or starchy carbohydrates post-training and the amount that you consume is relative to the intensity. Lower intensities, less carbohydrates are required. Then, higher intensities, slightly more. It’s still nowhere near the pasta party that the endurance-based encourages. Leanne Vogel: Yeah, I remember my very first marathon we went to like some pasta place like, I don’t even remember what it was called, and I ordered two plates of pasta before the race and that was a real thing. That was what I did. Oh my gosh. No wonder I was a total mess. Steph Lowe: That’s so crazy. Leanne Vogel: Yeah, it’s no good. More on my interview with Steph Lowe after this message from one of our podcast partners. I’ve always loved protein powder for its ease of use but could never find one that made me feel good from the inside out until I found collagen. Not only is collagen a fabulous protein powder alternative, it actually helps strengthen bones and cartilage and proves resistance, elasticity, and mobility of joints and connective tissues regardless of one’s age, and supports muscle rebuilding after an intense workout. There are a lot of collagen brands out there, but none as committed to quality and variety like Vital Proteins. Leanne Vogel: Earlier, you were talking a little bit about metabolic efficiency. What are kind of the steps that you take clients through on developing that metabolic efficiency? Steph Lowe: Yeah, excellent. We always start with real food. I know it’s a quite a big umbrella. Essentially, most people coming off a Standard American Diet or a Standard Australian Diet eating those 8 to 11 servings of whole grains that we’ve been recommended for so long and unaware that it’s the wrong thing because they’ve been following our national guidelines. We have to do a little bit of myth-busting, although not so much these days because people are so much savvier when it comes to food. We start with real food and we teach them about the right balance of macronutrients. For the individual, but I mentioned 20% protein, their carbohydrates can be about 15%, and obviously the remaining is fat so upwards to 65%. I might change that slightly for a female, depending on what state of the month she’s at. We need to teach our athletes about these ratios so they can understand what that looks like on their plate. In terms of the next step, it’s really about teaching them the strategies that they can start to experiment with to keep working on their metabolism. The big myth that we break down here is that you must eat every two hours to speed up your metabolism. It’s a complete fallacy, so we teach our athletes that they can create these beautiful fat burning windows by not needing to eat as frequently. If we can get at least five hours in between our main meals, then we open up a little mini fast window. They get essentially two in their day and then an overnight fast, which are fantastic opportunities to teach the body to burn fat for fuel and to certainly break away from that habitual eating. We know we want to become more intuitive and look at how much satiety a meal gives us and then by default snacking becomes almost irrelevant. The big strategy that we start with from a nutrition point-of-view, but as we all know, you’re not going to be burning fat if you’re super-stressed and producing high levels of cortisol and therefore spiking your insulin. We have to talk to our athletes about how much coffee they’re drinking, lifestyle factors like work stress or relationship stress, and what they’re doing to have the balance of yin and yang in their life. You know, you don’t often go to a nutritionist to talk about meditation, but it often comes up because you’ve got to look at all the influences on the metabolism. We know that stress is a big barrier to becoming fat adapted. Leanne Vogel: Yes, exactly. It’s so much more than just the food. Leanne Vogel: When you’re stressed out, all that process isn’t going to work properly. Something that you mentioned was quite interesting. Depending on the stage of month will determine your training schedule. What have you seen with training and even the nutrition changes that happen during ovulation during menstruation? What have you seen there? Steph Lowe: There’s a couple of different patterns. Essentially, this is why it’s really important to get some guidance because it’s not black or white. 15% carbohydrate is pretty low for someone that’s not sedentary. I’ve got to clarify those percentages that are mentioned earlier are not someone that’s sitting down for eight hours during the day. It’s for someone that’s more active. Your carbohydrate amount or requirements are also relative to your activity levels. Women can sometimes need slightly more and still nowhere near 150 grams a day or anything close to the old food pyramid advice, but it is definitely in line with those hormonal changes. In terms of cravings per se, if we speak really generally or the standard hormonal cycle is that dropping progesterone towards the back end of a cycle can create a lot of carbohydrate cravings. If the female is not eating enough whole food carbohydrates during their main meals, that can lead to the cravings and the desire for more sweet treats even if they are sort of paleo or keto, we don’t want them to be an every day food, even if it is for one week out of four. Simply by strategically giving them more carbohydrates in that post-training meal or pre-high intensity exercise, that’s a really good way to counteract or manage any of those cravings that we see in week four of a menstrual cycle. Then there’s no sort of guilt attached with that because they know they’re fueling at the right time to support their performance and recovery and athletic longevity. They’re making whole food choices like sweet potato or berries and they’re feeling much better as a result. Leanne Vogel: That’s really good advice. Steph Lowe: On the other side of that is in week one, for a lot of females, doing high intensity is just not possible. They actually, as a whole, benefit from having more of a rest-based week in week one. Less glycolytic, maybe less sessions. Therefore, they actually need less carbohydrates in that week. It’s relative to their intensity, remember. It’s relative to their output. In a week where their training is less and their intensity has dropped right down, then they should be far closer to 15% if not less, if that’s what they need. Being intuitive over the course of the month will allow that individual to make those decisions, ultimately. Leanne Vogel: Amazing. I know that when I’m ovulating, I find I need a lot more protein. Have you seen that as well in your coaching at all? During that ovulation period, if I don’t get enough protein, I just crave carbohydrates. Steph Lowe: Yeah, I think it’s common from a hunger point of view. Protein might be your example but I still think that a lot of people have that fat phobia, so they’re potentially not adding their required portions of good fats. They get that ovulation hunger. For some people, it’s simply getting them to eat slightly more calories coming from good fats. Steph Lowe: It’s such an important part for the individual to be educated on this so they don’t get this really rude shock and think that things are going wrong. We call it the metabolic gray zone. Here’s why. You’re coming off a Standard American or Standard Australian Diet. You’re probably eating 600 grams of carbohydrates a day. Now, that carbohydrate is essentially your petrol. Then you stop putting the petrol in. You’re literally like a car parked on the side of the road, no petrol, and you can feel horrendous. It should only take four to seven days, depending on how compliant you are. Essentially, the main thing that people need to do is, I think, allocate their rest week or a lighter week when they first start. You need to make it easy for yourself and not more difficult by gearing up for a competition or an event. I think that should go without saying. Although some people just want to get stuck in and the timing isn’t always perfect. You know, being centered when you start can make a world of difference. It’s also making sure that you do get adequate calories in. I don’t often talk about calories because I’m very against the calorie fallacy that we’ve all been exposed to for the last five decades. Essentially, the food that you eat supplies the nutrients that your body needs. If you’re under-eating, you’re going to make it so much harder for yourself. You may even eat slightly more calories in that first week to counteract. The first week isn’t necessarily where you should be having expectations for weight loss, although some people will get fantastic results. The first week is all about that trial and error and starting to make observations on other benefits that you might experience, like sleeping better, or improved bowel movements, or by the end of the week that you are starting to feel like you’ve got much more energy and a stable blood sugar supply. I don’t think it should go for a month. I think in that instance, there’s something wrong, so maybe they’re actually too low like their carbohydrates need to come back up, especially in that post-training meal, or it’s an element of over-training. If there’s too much high intensity in a week, they will struggle even regardless of keto. That’s really important to factor in as well because they’ll need to have the intensity balanced in their program, especially when they’re first starting. Leanne Vogel: I’m happy you mentioned that. Something that I noticed when people are going the second, third, even fourth week, and they’re still not feeling good, often times they’re not eating enough and they’re still too afraid of fat. They’re like eating more fat but no carbs and it’s just about you’ve got to eat more. Steph Lowe: It still ends up being low carb, low fat doesn’t it? 1000 calories a day is not going to cut the mustard. It’s really important. MyFitnessPal or CalorieKing can be a little bit time consuming but I think it’s so important in that first fortnight to log what you’re eating, to look at your overall energy intake, and to learn more about where the carbs, fats, and proteins are found. That knowledge will stay with you and you won’t have to log ongoing, but it’s super powerful to know where you’re at so you can make adjustments accordingly. Leanne Vogel: Let’s switch gears a little bit and talk about fat loss. A lot of people, I can’t tell you how many people I’ve met that are like, “Well, I train because I love eating and I like maintaining my body composition.” While I came from that world and it’s not something that I do now, I appreciate those that do high intensive cardio and do the whole thing. Is fasted low intensity cardio more beneficial to fat loss while doing keto? What is your stance on intermittent fasting with working out? Steph Lowe: I’m a big fan of it but not on its own. We’ll talk about it first though. I think fasted cardio is a really great strategy because we’ve been fasting hopefully for eight hours of sleep if not more and then we get up and do low to moderate intensity and we teach our body to burn fat for fuel. The lower intensity is going to be far more achievable particularly in those initial phases that we were just discussing because it’s not the right time to try and do a sprint session on an empty stomach if it’s the first time that you’re trialing this energy. It’s really important to be quite gradual. Start with a half an hour walk before breakfast, for example, and then build on that as your metabolism evolves over the next eight to 12 weeks. That’s really important. It’s not going to be enough for fat loss though because we still need to have that beautiful glycolytic activity, which utilizes both energy systems and has the EPOC, the enhanced post-exercise oxygen consumption, which means that you’re just really, really efficient for hours and hours after high intensity interval training that continues to build on your efficiency. Obviously strength training and the more lean muscle that you have means that you are just more efficient sitting still, sleeping, eating, all day long. It has to be a quite well-rounded combination of exercise utilizing different energy systems and focusing on that metabolic efficiency without it being about burning calories per se. Leanne Vogel: I’m glad you mentioned calories again because earlier you said that you weren’t a big fan of it and I totally agree. Calorie counting messed up my life in a big way. There is some confusing about calorie intake and working out. A lot of people in the keto space say don’t pay attention to calories, just eat until you’re full. Then other people say if you eat until you’re full, you’re never going to lose weight. How do you navigate that challenge? Steph Lowe: Yeah, great question. I do talk about calories more and more because of that myth that you just touched on. I do hear a lot of people talking about certain foods as being “unlimited” which is usually the non-starchy veggies. What we’ve actually got to think about is your stomach volume. If you always overeat, you will always need that much food. The amount of food that you eat shapes your stomach volume. When you teach your body to need less, you won’t be hungry, so it’s not like calorie counting and being starving. It’s eating what you need and not being unreasonable that any food is essentially free. You know, fats are very nutrient-dense. That’s why we love them. At 9 calories per gram, it’s very easy for someone who thinks they’re doing keto to lose weight to be eating 2500 calories a day. It just won’t work that way. You know, I’m not talking about everybody, but if we’re talking about a female that needs to lose weight, she still needs to be looking at the volume of the food that she’s eating. Larger and sort of more efficient men might be able to eat 3000 calories but they’re the exception, not the rule. You still need to educate yourself on food volume and you don’t need to count the calories, which is the good news, but once you work out what you need in a day, it’s usually quite a big surprise as to how little you need. That’s not under-eating. That’s simply being intuitive and getting an abundance of nutrients because 80 or 90 or 95% of the food that you’re putting in your mouth is an untouched natural state. Leanne Vogel: I like that you mentioned the volume. I never thought about it that way but it completely makes sense. If you’re eating large volumes of food and you like that fullness feeling, that’s something I noticed when I first started keto, I never actually felt full. I never had that fullness. I could see how at the beginning of keto, kind of taking a look at what your intake is is important, but not letting the calories completely dictate everything. On the flip side, women and men will go on certain diets where they’re eating less than 1000 calories, maybe even less than 1200 calories plus they’re training. Calories do kind of play a rule in, I’m sure your work as well, and making sure that people are eating enough. How would one go about ensuring that they’re eating enough while also trying to mobilize body fat stores, especially when you’re training using cardio and lifting? How would one mobilize those fat stores without caring so much about calories? Are there other pieces to it? Steph Lowe: Yeah, I mean, there are a lot of pieces to it and that comes back to the combination of decreased meal frequency fat-burning windows between the main meals, trying to close the kitchen earlier in the night to extend that overnight fast. You know, all of these strategies should be the focus, not eating less, per se. I think that eating less things is something that is a lovely default of eating so well when you do eat. If you have an abundance of non-starchy veggies, small amount of protein, healthy fats, and you’re good with your carbohydrate timing or your carb ups, as you say, then you don’t need to eat as often. You shouldn’t need to snack at night and your blood sugar is stable. That’s the beauty of it. All of those strategies should actually create the end result of a ideal food volume. Does that make sense? Leanne Vogel: Yeah, totally. It sounds like it’s a little bit of a patience game too, I know that like many of the people I speak to are like, “I’ve been doing keto for seven days and I’m not seeing any results. I just feel like garbage.” Everything that you’re saying says that it’s going to take a little bit of time for things to shift. Is that fair? Steph Lowe: That is absolutely fair but I do think that there’s a lot of inherent errors that we can touch on that that’s probably why they’re not getting results. That’s the problem with maybe reading an article and just assuming that everything in that article online is going to work for you. Nutrition is very much individual. It’s also shades of gray. The calorie conversation that we were just having, it’s a tightrope that you walk. We’re saying don’t count calories but we’re saying you need to know how much food that you’re eating. It can be quite confusing. I very much appreciate that. It’s a tightrope that you walk between finally being able to move away from the obsessive calorie counting days of the last five decades, but still being reasonable and not being indulgent or overeating just because it’s healthy food. It’s really important to have a healthy relationship with food and to essentially work out what you need rather than just treating it like it’s free reign. Leanne Vogel: Yeah, let’s chat a little bit about those errors. I hate to say the word “mistake” because it sounds negative, but maybe just some slipups or things that you notice where people have maybe been led the wrong way for their bodies. What do you see in your practice? Steph Lowe: I think the first one is that fat phobia, absolutely, because most people that are coming out of a dieting background have done calorie counting or Weight Watchers or something very similar that has instilled that absolute fear of fat in them. It’s a very hard habit to break, as we’ve been touching on. That’s really important for the individual to slowly work on acknowledging that they’re eating whole food. It’s in no way going to make you put on fat, but rather may help you burn fat and just working through those barriers that aren’t going to change overnight necessarily but certainly really important to address. I think secondly it is the inefficient nutrient timing. We all love carbohydrates. I haven’t met a person that doesn’t like bread. I think we’re so used to consuming carbohydrates with every meal that the adjustment away from that can be quite challenging. Looking at obviously reducing, if not eliminating, refined carbohydrates, but for the individual to understand where other carbohydrates are found and that they don’t need to be a part of every meal certainly can help as we’ve been discussing pre-high intensity and post-training. Thirdly is the stress that we also spoke about. I mean, that chronic cortisol production will simulate the liver to release glucose in the blood stream. That will switch off our fat burning. We absolutely can’t ignore the fact that stress management and having a really well-balanced cortisol profile is very important for fat loss but also obviously long-term health. Excess protein’s another one. You know, as we discussed that glyconeogenesis where that excess protein is converted to glucose can certainly produce high insulin and shuts off fat burning. Yeah, that’s another area. I think, for some people, sort of the fifth area to explore, is sort of their salt intake. You know, table salt has been part of that fear-mongering, in terms of how it creates high blood pressure and that it will kill you. That’s a big myth when it comes to salt as a whole because we know that as you become fat adapted, your salt requirements increase dramatically. We’re not talking about table salt. We’re talking about the nutrient-rich pink or Himalayan salt that’s very important because your salt requirements have increased and you need to add more to your food to maintain that optimal blood volume. Poor performance or feeling quite fatigued or sluggish beyond the first four to seven days can actually be low salt intake, which is quite mind-blowing for someone to simply add some salt to their meals and to feel so much better within a day or two. Leanne Vogel: Yes, I know that that was my experience big time. This show is partnered up with paleovalley, the makers of the only 100% grass-fed and finished fermented beef stick. Each stick contains one billion probiotic CFUs. We all know how important fermented foods are to the health of our gut and the strength of our immune system, especially during cold and flu season, as well as boosting our energy throughout the winter months. Chowing down on paleovalley’s fermented beef sticks provides your body with all of the beneficial bacteria it loves in one convenient little beef stick. Their gut friendly sticks are gluten-free, soy-free, dairy-free, GMO-free, freaky chemical additive, dye, and preservative-free as well as being 100% free from carbs and sugar and made with the highest quality ingredients. Exclusive to listeners of the show receive instant savings of 20% off Paleovalley fermented beef stick snacks by going to paleovalley.com/keto. If your jaw is just tired thinking about beef jerky, it’s worth noting that these tasty treats are not tough at all but moist with a little snap. The summer sausage flavor even tastes like those hickory summer sausages but without the gunk. Seriously delicious. Again, that’s paleovalley.com/keto for an instant 20% off savings. Leanne Vogel: You know, you were mentioning performance. Let’s kind of shift gears and talk a little bit more about performance. If a person wants to improve their running performance and be faster, less sore the next day, what can they do strategically with their ketogenic diet to see the improvement in their speed and the pain that they experience the next day? Steph Lowe: In their speed and in their recovery. Outside of what we’ve already been discussing, I think in terms of recovery, that is going to also come down to some pre-training strategies. One of the things that we’ve got to ensure for our more sort of long-distance athletes is that they’re not starting to become catabolic, which means that they’re breaking down muscle. With our endurance athletes, we obviously want them to go in that session fasted so they burn fat. For a lot of them, fuel off minimal carbohydrates and calories, not zero, but minimal to extend that fat adaptation. Some people that are doing Ironman training, for example, they really need to look at introducing some branch chain amino acids pre-training as well. We don’t have to consume protein in food because we don’t want that to interfere with our exercise goals, but some supplementation can actually work for these athletes to ensure they’re not catabolic, which would otherwise cause them to pull up sore and feel like they weren’t recovering that well. I will just say that obviously, supplements aren’t necessary for everybody, and the quality of which we purchase is very important, but we do get some good results with our endurance athletes simply by adding some branch chain amino acids pre-training when it’s a longer fasted session. Leanne Vogel: Do you test ketone or blood glucose with your clients to kind of see where those are at and would that change during your training? Steph Lowe: I do and I don’t. I think it’s quite an interesting area for an individual to explore, but I still get plenty of athletes that even though they’re doing everything, their ketones are relatively low. I honestly think it’s because most of the diagnostics are built off people that are insulin sensitive or very metabolically unhealthy. You know, the same kind of technology doesn’t necessarily apply to an individual, and as you know, the more fat adapted you are, the more ketones you burn up. It’s not going to be as much left in the blood per se. The results might yield a false negative and that can be quite disheartening to someone who’s maybe even eating less than 50 grams a day and still, per se, not in ketosis when all the other factors appear that they are. That’s something that I’m really mindful of because I don’t want the athlete to be disheartened simply because of one diagnostic when all the changes they’re making and that new lifestyle that they’re living has so many benefits, not just for performance, but obviously long-term health. To answer your question, I do and I don’t. I do less and less as time goes on simply because I just don’t see it as being a huge part of the result. I think people get more compliance out of finally being able to have five or six hours without being bound by their appetite or getting lean with ease or running faster or feeling more efficient in their races. Ultimately, the benefits we’re trying to achieve, not being bound a number which can be quite obsessive and damaging. Leanne Vogel: Yes, I guess the same would be said for weighing yourself. I’ve never been happier when I just stopped getting on the scale, just not having that dictate and going after what you feel. Two last questions. The first one being: What’s the best workout to maintain muscle? Maybe this is more geared toward just regular humans that don’t dedicate hours and hours at the gym or training. If you just want to maintain the muscle that you have right now, what’s kind of the best strategy to do that? Steph Lowe: Lifting heavy. I think the rep ranges are going to be super important here. Too often we’re either afraid of putting on muscle or we’ve been taught to do 10 to 12 reps, but you really need more of a stimulus than that. The five to eight rep range, really heavy weights, and looking at compound movements like deadlifts and squats and pushups are, I think, super important. The best thing is it doesn’t need much time. Endurance athletes have it probably the hardest, because of the amount of hours they do. Whereas for maintaining muscle, if you’re in a gym environment, you might only need to do 40 minutes a couple or three times a week. It’s very efficient exercise but it’s going to be the stimulus you need to lay down new muscle, provided you also factor in things like what you eat and enough recovery, like sleep, because we know that your muscles are going to grow overnight, not in the gym. Leanne Vogel: Very good advice. Since we’re chatting with women, lots of women are listening, we’ve been chatting about athletic performance and training, there’s a lot of amenorrhea in our community and women that have very irregular periods. What is your approach and what are your thought on training with amenorrhea? Let’s say someone is pretty active doing CrossFit five or six times a week, biking or commuting to work every day, doing yoga, all with a lack of period? How would you approach that? Steph Lowe: I think the main point is to acknowledge that it does need to be addressed. For so long, I think certainly these women would go to a doctor and the doctor would be literally like, “Oh, don’t worry about it. Just come back and see me when you want to have babies,” or, “Here, take a pill and let’s fix the problem,” or put a bandaid over the problem, essentially. Whereas we can’t ignore the importance of a menstrual cycle. Having healthy hormones is a huge reflection of your internal health, and having the right amount of estrogen is by far the most significant part of good bone density as we age. It can’t be ignored and it’s very important to explore why you aren’t having a period. Low body weight and/or overtraining are definitely two of the main causes. I’m not saying that that means that the women have to suddenly put on weight and stop training, but it does need to be a gradual process, working backward to what is enough for you, essentially, that sort of Goldilocks scenario. For some people, though, there’s more to it than that. We would do either blood hormones or a salivary hormone profile to have a look at what is the exact issue. You know, I’m a big believer in tests, don’t guess. There could be an underlying issue. If it’s super low progesterone and that’s why the female’s not essentially bleeding, then that can be supported with herbs. It’s not only lifestyle changes, but it needs to be identified so we can look at a well-rounded approach to rebalancing those hormones. The female needs to have a good conversation with herself about what’s more important, because being lean does not mean that you’re healthy, but having a really well-balanced menstrual cycle does. Some women have to come to terms with the fact that they’re going to be a couple of percents heavier, but at the expense of being fertile, being able to have a baby if that’s their goal, and preventing things like osteopetrosis. I think that’s a really important conversation to have. Steph Lowe: Yeah, I agree. What about things like having good energy and being able to sleep and not having anxiety and depression? I think we, in our society, we lose sight of the real importance of health because we’re surrounded by nutrition companies and marketing campaigns and Instagram and Photoshop and Facetune. I just think we need to keep our perspective because thin does not equal healthy, as I said. Some of us are going to be slightly heavier but that doesn’t mean unhealthy and it doesn’t mean that we don’t eat well. It’s very individual. There’s going to be a genetic element like anything. Of course, I went through calorie counting like you did, Leanne, and when you essentially starved yourself for years, that takes years to undo. There is metabolic damage that comes with calorie counting, restrictive eating, and eating disorders and that is not going to change overnight. Being in it for the long-haul and focusing on ultimately your longevity, your health and wellness, is the best way to approach things. Leanne Vogel: Yes, completely couldn’t agree with you more. We have reached the end of our show. Oh my gosh, I could chat with you for so much longer. Where can people find you? Steph Lowe: Absolutely. Our online hub is thenaturalnutritionist.com.au and we’re obviously on all the socials at the same handle. I have written a book called The Real Food Athlete which contains all the information that we discussed today and a lot more in terms of real food recipes. That’s available on our website as well. It’s thenaturalnutritionist.com.au. Leanne Vogel: Wonderful. I will include a link to The Real Food Athlete. I have this book, guys. It’s so great. Steph is fabulous, as you can tell. So good having you on the show today. Leanne Vogel: The show notes and full transcript for today’s episode can be found at healthfulpursuit.com/podcast/e27. We’ll make sure to include all of the links that you shared today over there. Thanks again for coming on the show. Steph Lowe: Thanks, Leanne. It’s so great to chat. Leanne Vogel: That does it for another episode of The Keto Diet Podcast. Thanks for listening in. You can follow me on Instagram by searching healthfulpursuit where you’ll find daily keto eats and other fun things and check out all of my keto-supportive programs, bundles, guides, and other cool things over at healthfulpursuit.com/shop and I’ll see you next Sunday. Bye.